Not to be confused with Halloween (2007) starring Danielle Harris is Hallows’ Eve (2013) starring Danielle Harris. The film opens with an accident in which a young girl, Eve, is seemingly killed in the presence of some other kids. Ten years later, Eve is alive and has horrific scarring to half of her face. When we see Danielle Harris’ character, Nicole, taking care of the teenaged Eve we are to assume that Nicole is Eve’s mother. Beyond a few instances where Eve sort of whispers something that sounds like “Mom,” the connection between Nicole and Eve isn’t clear. 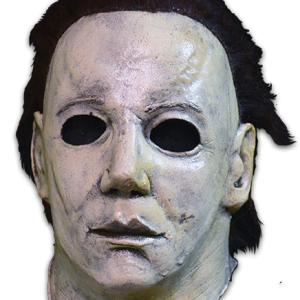 The word “Halloween” is another one that isn’t uttered much, if at all, during Hallows’ Eve. 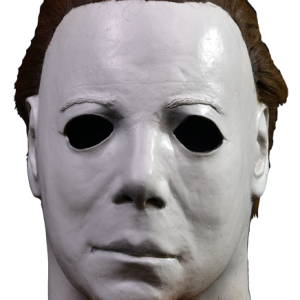 However, there are visual cues in the film that tell us that it is Halloween season. 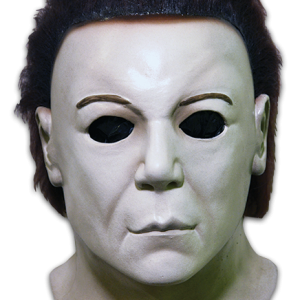 It’s strange that the subject of Halloween is mostly sidestepped and treated almost with embarrassment when the movie itself is titled “Hallows’ Eve.” Danielle Harris arrives with a man named Matt (her husband?) as part of a group bringing some October crops in a truck. The crew, dubbed The Bates Motel, seems to be setting up a fall fair with games, haunted houses, rides, food, music and pumpkins. A group of teens, possibly the now grown-up kids from ten years ago, is excited about attending The Bates Motel Scream Park (among the group of “teens” are at least two very attractive adult female actresses). 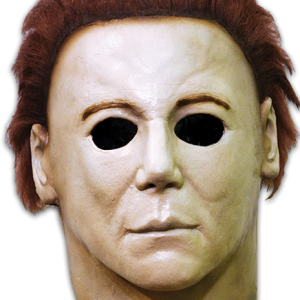 A killer that is not Michael Myers shows up at this Halloween-themed fair and begins dispatching people one by one. The deaths are exaggerated and gory, but not scary or disturbing. Among the kills are an eye ball removal and a decapitation. Until the film reveals who the killer is, the viewer must consider everyone a suspect. Is it the twitchy Bates Motel worker with the incriminatingly crazy stare? Is it Eve, the Two-Face/Harvey Dent lookalike? Is it the sarcastic chick who sells tickets? 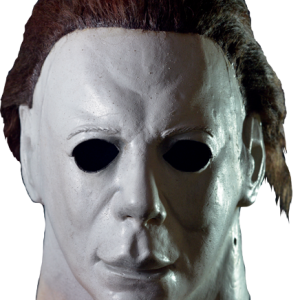 Concerning the characters, there is plenty that Hallows’ Eve doesn’t establish properly. Two of the most salient issues involve Danielle Harris and what we assume is her on-screen family. Danielle’s character is motherly toward Eve, but there is no dialogue that sets them up as mother and daughter. Matt is protective of Eve and Danielle, but is he or is he not Danielle’s husband? While it is insulting for a movie to spoon-feed you every detail, it is unwise for a story to not give you some very basic information. Another point that is central to the story’s plot is whether or not those teens are the same kids from 10 years ago. This isn’t addressed. 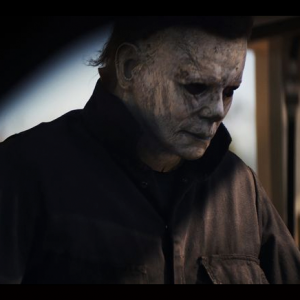 Despite the glaring errors that this story has in terms of the ambiguity of its characters, what Hallows’ Eve puts on the screen is a modest effort. The film could have been much worse when one factors in the minimal and static locations, and some unnecessary sequences (such as Rudy the pot dealer’s hallucination). Hallows’ Eve’s unpretentious and ordinary nature turns out to be its virtue. This quality, perhaps, places it a slight cut above other modern, low-budget horror flicks. Isolated from the other characters in this movie, Danielle Harris’ role is decent. She’s not crying and screaming for the entire film. Instead, Danielle’s character Nicole is natural and maternal with a tinge of sadness. Although she isn’t given very much to do in Hallows’ Eve, Danielle provides believability whenever she’s on the screen. 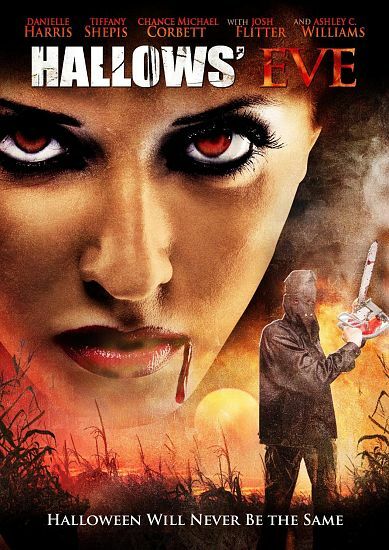 With a title like Hallows’ Eve, one could rightfully expect too much from this movie. It’s a big name to live up to. The artwork for the DVD doesn’t help matters either. The DVD cover is very different from the film’s promotional poster, and it implies way more than what Hallows’ Eve delivers. Firstly, there is no one with red eyes and blood dripping from their mouth in the movie. Secondly, the person holding a chainsaw is wearing a potato sack mask. No one in the movie wears a potato sack over their head. 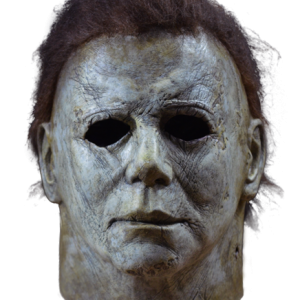 Thirdly, check out the tagline, “Halloween will never be the same.” The truth is, Halloween will remain exactly the same, even after viewing Hallows’ Eve. 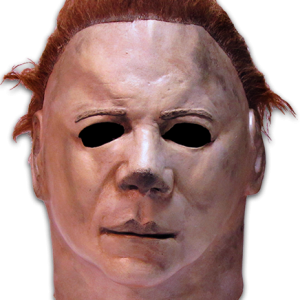 Look its a conehead Jason sweet potato mask proto!